If it seems like we are all over the place when it comes to math we are. I follow SJ’s interest and try not to discourage her by the order in which I think she should learn. The way I see it addition and multiplication are similar so are subtraction and division. So while she is hitting the ground running I am still trying to insure there are no learning gaps. 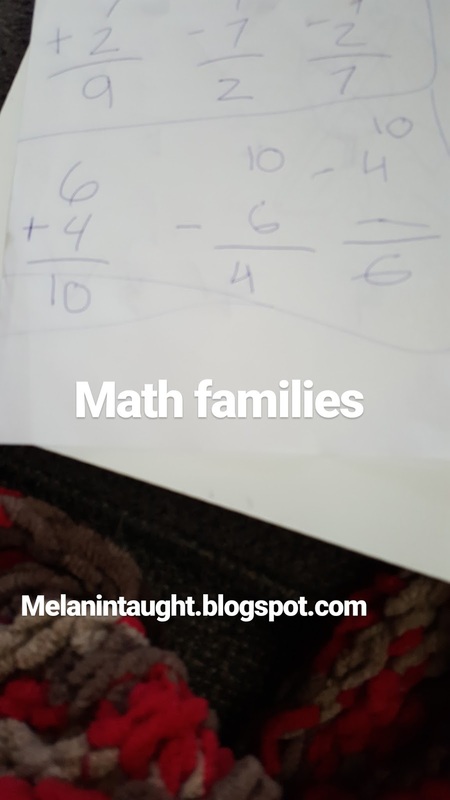 So we have been talking quite a bit about math families. This was a pretty easy concept to introduce because shes learned about word families. This concept was picked up really quickly because as my oldest child SJ likes to be in control. The ability for her to catch her mistake has been invaluable to her. 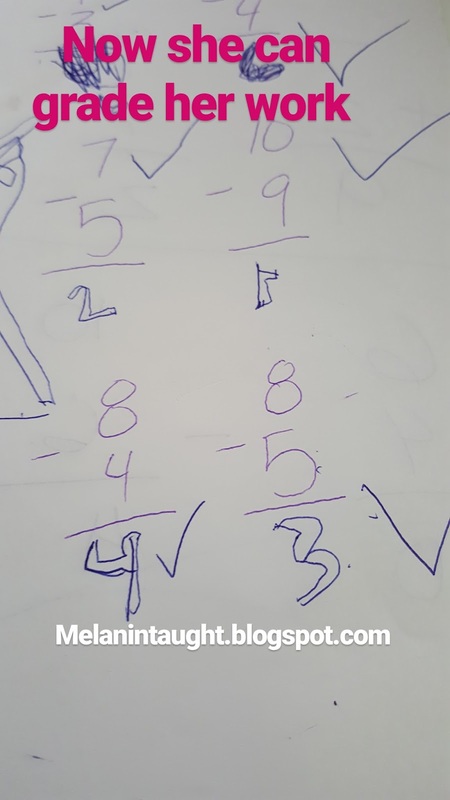 When I walk by her before she has had a chance to finish and check her work she immediately covers it, not wanting me to correct her before shes reviewed it. I’m really enjoying the responsibility she seems to be developing. I want her to take pride in her work and do well and that seems to be the case…at least when it comes to math.